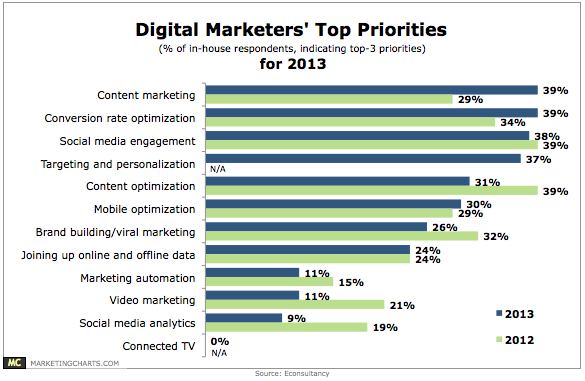 According to Forbes, in the article they wrote thanks to Econsultancy’s research, content marketing and e-commerce tops digital marketers’ priority list for 2013. That’s good news for ICG since we do both of those things. Read our ultimate guide to eCommerce content marketing and be ready for the challenges that 2013 brings.